The First Epistle of John, often referred to as First John and written 1 John, is the first of the Johannine epistles of the New Testament, and the fourth of the catholic epistles. It is attributed to John the Evangelist, traditionally thought to be the author of the Gospel of John and the other two Johannine epistles. This epistle was probably written in Ephesus in AD 95–110. The work was written to counter docetism, which is the belief that Jesus did not come "in the flesh", but only as a spirit. It also defined how Christians are to discern true teachers: by their ethics, their proclamation of Jesus in the flesh, and by their love. The main themes of the epistle are love and fellowship with God. The author describes various tests by which readers may ascertain whether or not their communion with God is genuine, and teaches that the proof of spiritual regeneration is a life of active righteousness. It also distinguishes between the world (which is full of evil and under the dominion of Satan) and the children of God (who are set apart from the world). The main themes of the epistle are discernible in the writer's sectional organisation of his contents. There are four sections (arranged in the chiasm ABB'A'): 1:1–2:14; 2:15–3:10; 3:11–4:13; 4:14–5:20. The first, A, speaks of "the witness", given and received, to God who is "light" and the exhortation is "to live in his light". The second, B, is an exhortation "to love not the world", with earthly motives, in earthly ways. The third, B', a balance to B, emphasizes (rather) "love one another". The fourth, A', again begins with "the witness", but this time it is to God who is "love"; "life eternal" is theirs who live a life of loving God. 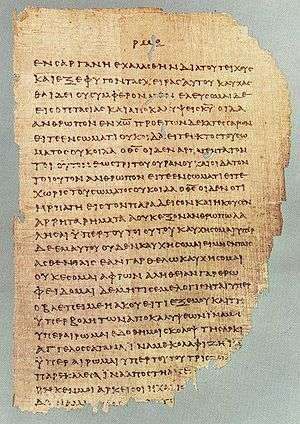 The key requirements of Ancient Rhetoric, Purpose and Structure are clearly evidenced in this letter. So too are the other requirements of Style and Memory. Among the most controversial verses of the Bible is what some consider an explicit reference that supports the doctrine of the trinity, the Comma Johanneum: "For there are three that bear record in heaven, the Father, the Word, and the Holy Ghost: and these three are one. And there are three that bear witness in earth, the Spirit, and the water, and the blood: and these agree in one." (1 John 5:7–8, King James Version). Verse 7 does not appear in any version of the Greek text prior to the ninth century, and first appears in most of the Latin manuscripts, especially in the Vetus Itala (Old Latin predating Jerome) before being translated into Greek and added to later Greek manuscripts. It was included in the King James Bible, something Isaac Newton commented on in An Historical Account of Two Notable Corruptions of Scripture. This is sometimes used as evidence to counter the King-James-Only Movement. Bart Ehrman suggests in his book Misquoting Jesus that the King James Version would not have included the passage if Desiderius Erasmus had not given in to pressure to include it in the Textus Receptus even though he doubted its authenticity. On the whole, therefore, the evidence seems to me to be clear that this passage is not a genuine portion of the inspired writings, and should not be appealed to in proof of the doctrine of the Trinity. The epistle is not written in the same form as the other biblical epistles, lacking an epistolary opening or conclusion. The epistle is written in a simple style, without syntactical flourishes, and makes frequent use of asyndeton, where related thoughts are placed next to one another without conjunctions. 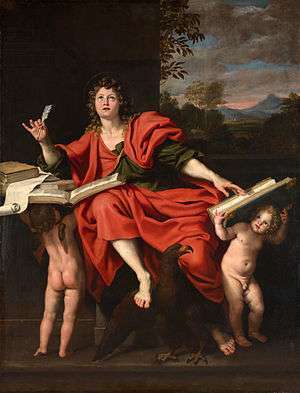 In contrast to the linear style used in the Pauline epistles, John's thought moves in loops or circles forming a slowly advancing sequence of thought. This is similar to the parallel structure of Hebrew poetry, in which the second verse of a couplet often carries the same meaning as the first, though in the epistle the frequent recapitulations of already expressed ideas serve also to add to what has previously been said. In summary, the epistle may be said to exhibit a paraenetic style which is "marked by personal appeal, contrasts of right and wrong, true and false, and an occasional rhetorical question". Some scholars have proposed the idea that the epistle is really John's commentary on a selection of traditional parallel couplets. While this theory, first propounded by Ernst von Dobschütz and Rudolf Bultmann, is not universally accepted, Amos Wilder writes that, "It is at least clear that there are considerable and sometimes continuous elements in the epistle whose style distinguishes them from that of the author both with respect to poetic structure and syntactic usage." However, other modern scholars have challenged this position. [note 1] Though the common authorship of the three epistles is still almost universally accepted, scholars such as Heinrich Julius Holtzmann and C. H. Dodd have maintained that the epistle and the gospel were written by different authors. There are at least two principal arguments for this view. The first is that the epistle often uses a demonstrative pronoun at the beginning of a sentence, then a particle or conjunction, followed by an explanation or definition of the demonstrative at the end of the sentence, a stylistic technique which is not used in the gospel. The second is that the author of the epistle "uses the conditional sentence in a variety of rhetorical figures which are unknown to the gospel". "The Fourth Gospel addresses itself to the challenges posed by Judaism and others outside Johannine circles who have rejected the community's vision of Jesus as preexistent Son, sent by the Father. The epistles (First, Second, and Third John) "describe the fracturing of the Johannine community itself". The author wrote the epistle so that the joy of his audience would "be full" (1:4) and that they would "not practice sin" (2:1) and that "you who believe in the name of the Son of God... may know that you have eternal life" (5:13). We can therefore distinguish in the epistle both a general purpose (to increase mutual joy) and a specific purpose (to provide readers with tests by which they might assure themselves of their salvation). It appears as though the author was concerned about heretical teachers that had been influencing churches under his care. Such teachers were considered Antichrists (2:18–19) who had once been church leaders but whose teaching became heterodox. It appears that these teachers taught a form of docetism in which Jesus came to earth as a spirit without a real body of flesh (4:2) that his death on the cross was not as a true atonement for sins (1:7). It appears that John might have also been rebuking a proto-Gnostic named Cerinthus, who also denied the true humanity of Christ. The purpose of the author (1:1–4) is to declare the Word of Life to those to whom he writes, in order that they might be united in fellowship with the Father and his Son Jesus Christ. He shows that the means of union with God are, (1) on the part of Christ, his atoning work (1:7; 2:2; 3:5; 4:10, 14; 5:11, 12) and his advocacy (2:1); and (2), on the part of man, holiness (1:6), obedience (2:3), purity (3:3), faith (3:23; 4:3; 5:5), and love (2:7, 8; 3:14; 4:7; 5:1). Whereas the Gospel of John was written to unbelievers, this epistle was written to those who were already believers (5:13). It seems likely that its audience was largely gentile rather than Jewish, since it contains few Old Testament quotations or distinctly Jewish forms of expression. The epistle was probably carried by itinerant missionaries to different churches throughout the region and read aloud to the congregations. 1 2 Burton, Ernest DeWitt (1896). "The Epistles of John". The Biblical World. University of Chicago Press. 7 (5): 368. JSTOR 3140373. ↑ Barnes, Albert (2007-02-07). "Albert Barnes New Testament Notes". StudyLight.org. Retrieved 2007-02-07. 1 2 3 4 Wilder, Amos (1957). "Introduction to the First, Second, and Third Epistles of John". In Harmon, Nolan. The Interpreter's Bible. 12. Abingdon Press. p. 211. ↑ Barbour, J. H. (1896). "The Structure of the First Epistle of Saint John". The Biblical World. 9 (5): 343. JSTOR 3140289.